Αὐτὸς δὲ ὁ θεὸς τῆς εἰρήνης ἁγιάσαι ὑμᾶς ὁλοτελεῖς, καὶ ὁλόκληρον ὑμῶν τὸ πνεῦμα καὶ ἡ ψυχὴ καὶ τὸ σῶμα ἀμέμπτως ἐν τῇ παρουσίᾳ τοῦ κυρίου ἡμῶν Ἰησοῦ Χριστοῦ τηρηθείη. πιστὸς ὁ καλῶν ὑμᾶς, ὃς καὶ ποιήσει. Jacob Harold Greenlee was born in Charleston, West Virginia, on May 12, 1918, the first child of Jacob Andrew and Ethel Edith Jarrett Greenlee. He graduated from Charleston High School in 1935. He holds the degrees of A.B., Asbury College, 1939; B.D., Asbury Theological Seminary, 1943; M.A., University of Kentucky, 1944; Ph.D. in Biblical and Patristic Greek, Harvard University, 1947. He was a Senior Fulbright Fellow, Oxford University, 1950–51, where his work on reading an ancient palimpsest—an erased Greek NT manuscript—led to further palimpsest studies and the publication of a book. On December 10, 1949, he married Ruth Bernice Olney. He was professor of New Testament Greek at Asbury Theological Seminary, 1944–65, and at Oral Roberts University, 1965–69. He and Ruth have been missionaries of OMS International (now One Mission Society) since 1969, teaching in Bible schools and seminaries throughout the world. Through those years he was also an international translation consultant for Wycliffe Bible Translators, participating in Bible translation workshops in many lands, and contributing to the translation of the New Testament into more than 125 languges. They also served from time to time on the first three Operation Mobilization missionary ships with their son David. Dr. Greenlee was an ordained United Methodist minister of the West Virginia Conference. He is the author with wife, Ruth, of a book about their ministry travels, and he has published 12 books dealing with the Greek language of the New Testament and more than 160 published articles. He is listed in more than twenty-five biographical volumes. During his years as professor of New Testament Greek at Asbury Seminary, he wrote two books. His Concise Exegetical Grammar of NT Greek (1953) was on the market for 60 years, translated into six other languages, and is now offered on the Seminary’s First Fruits internet project. His Introduction to NT Textual Criticism (1963) is still on sale after 50 years and has recently been translated into Korean. 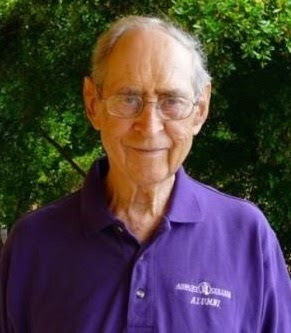 During his 21 years at the Shell Point Retirement Community, Fort Myers, Florida, he continued contributing in New Testament Greek studies, co-teaching a Village Church Sunday school class, assisting with the Wednesday morning Men’s Bible Study, and singing in the Shell Point Singers and the Village Church choir for over fifteen years. As a part of the Shell Point Academy, he co-led the Anatomy of a Word class until a month before his death. Family members include his wife Ruth Bernice; daughters Dotty Morrison (husband Bill Morrison, deceased), Lois Stück (husband Dr. Jim Stück; children Philip, Michael, and David and wife Ellie), and son, Dr. David Harold Greenlee (wife Vreni; children Rebekka, Jonathan, and Sarah); and sisters Rayma Gene (husband Clarence Hutchens, deceased), and Catherine Mae (deceased, husband Reid Feather). In lieu of flowers, memorial gifts may be sent to One Mission Society (formerly OMS International), P.O. Box A, Greenwood, Indiana 46142-6599 designated for seminary student scholarship funds. Thanks, friends, for honoring my father. If any of you would like his complete bibliography, feel free to contact me. J.H. Greenlee, ‘A Corrected Collation of Codex Zacynthius (Cod. Ξ)’ JBL 76 (1957), 237-241. J.H. Greenlee, ‘Some Examples of Scholarly “Agreement in Error” ’ JBL 77 (1958), 363-64. J.H Greenlee, ‘A Misinterpreted Nomen Sacrum in P’ HTR 51 (1958), 187. J.H. Greenlee, ‘The Catena of Codex Zacynthius’ Biblica 40 (1959), 992-1001. J.H. Greenlee, Nine Uncial Palimpsests of the New Testament (SD 39; Salt Lake City: Uni Utah Press, 1968). J.H. Greenlee, ‘Codex 0269, a Palimpsest Fragment of Mark’ in Studies in New Testament Language and Text (FS G.D. Kilpatrick; ed. J.K. Elliott; NovTSup 44; Leiden: Brill, 1976), 235-38. I regret your loss David. Thank you Peter for the bibliography. I shall hopefully have a go at fixing the Greek font at some point. Condolences to the members of the Greenlee family. Thank you Tommy for posting David's fine obituary, and David and Peter for providing access to the excellent bibliography. Just a quick note to say that I was blessed to have attended Harold Greenlee's memorial service in Ft. Myers, FL, this weekend. Harold held a Harvard doctorate, was a professor of New Testament and Greek for many years, and a scholar who put his considerable erudition at the feet of Jesus in service to the nations. That the latter point should be worth mentioning is in itself a remarkable thing because all of us so-called New Testament scholars should be about the Father's main business. I want to thank David Greenlee for his invitation to attend. If ever a man accepted the demands of life with grace and humility, it was Harold. Simply put, he lived for others. May the Lord make His face to shine upon Harold's widow Ruth and bring sunshine and peace to their household every day. I knew Dr. and Mrs. Greenlee when he was a guest professor and Greek at Taylor University. I was also impressed by his commitment to Jesus and by his humility. We hadn't known of his academic reputation until we heard a rumor that he was considered one of the top ten Greek scholars in the world. When we confronted him about that, he thought for a minute. and replied, "Well, there are about nine that are really superlative, and maybe I'm the tenth."